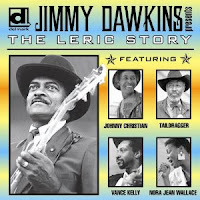 Most blues fans are very familiar with the work of blues guitar legend Jimmy Dawkins. Not everyone is aware of his work as a record producer with his own label, Leric Records. In the 1980s, the label released 45s by Tail Dragger, Queen Sylvia Embry, Little Johnny Christian and Nora Jean Wallace, to name a few. 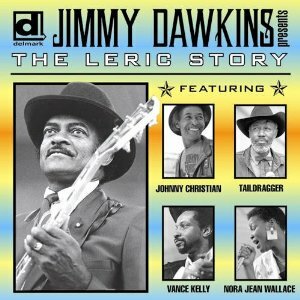 Thanks to Delmark Records, these records are now being reissued for the first time on CD, "Jimmy Dawkins presents: The Leric Story ." In addition to the artists listed above, the package also includes unissued sides by Vance Kelly and Big Mojo Elem. Dawkins contributes as a sideman, along with Johnny B. Moore, Lafayette Leake, Willie Kent, Eddie "Jewtown" Burks, Michael Coleman and Chico Banks.